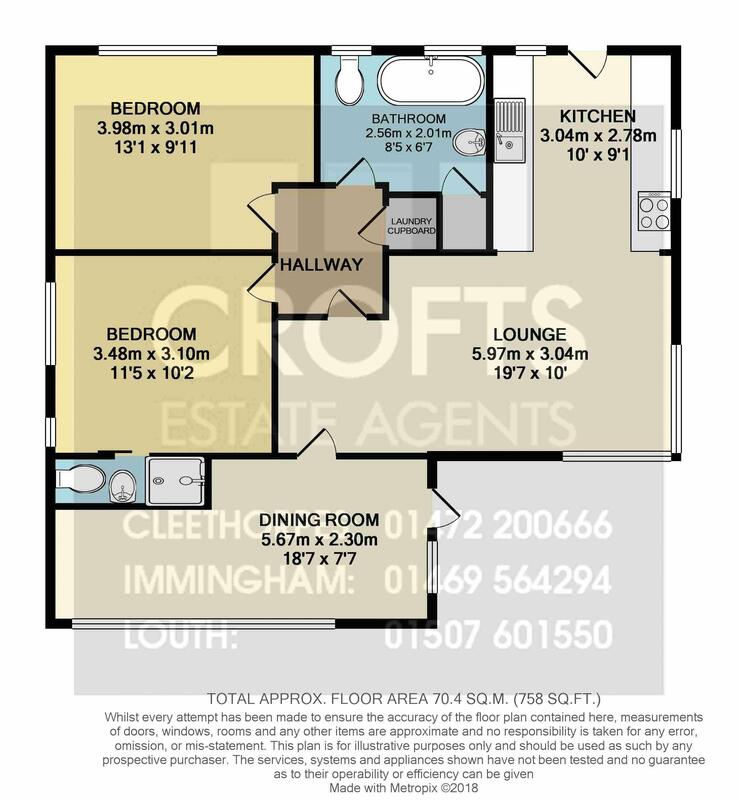 ** Being sold to include all furniture and and fittings, just ready to move in ** Crofts estate agents area delighted to offer for sale this spacious chalet which is slightly vintage with a contemporary twist and will make an ideal investment property or holiday home. Located near to local amenities and also near to the beach, this chalet really does need to be seen to be fully appreciated and comes with viewing highly advised. The flooring throughout this fantastic chalet is 100% Waterproof CORTEC PLUS. Internal viewing will reveal the kitchen with Oak fitted units and integrated appliances which then leads into the lounge. Off the lounge there is the dining room which leads out to the rear garden. The master bedroom boasts an en-suite and bedroom two is a generous double also. Lastly there is the bathroom which boasts a fabulous three piece suite. Externally there are gardens and parking and the chalet also benefits from gas central heating. The kitchen has dual aspect windows to the front and side elevation with a door to the front elevation, oak fitted units with integrated appliances including a fridge, freezer, dish washer, electric oven and gas hob with extractor over. There is also complimentary tiling and a one and a half sink and drainer. The lounge has dual aspect windows to the side and rear elevation and two radiators. The sun room has windows to the rear elevation, a door to the side and a radiator. An inner hallway provides access to the laundry cupboard which has plumbing for a washing machine. Bedroom one has a window to the side elevation and a radiator. The en-suite has an opaque window to the side elevation, a radiator, WC, basin and shower cubicle with a mains operated shower. Bedroom two has a window to the front elevation and a radiator. The bathroom has two opaque windows to the front elevation, a heated towel rail and superb three piece suite with a WC, basin and bath with complimentary tiling and access to the airing cupboard. Externally there are gardens to all sides with plenty of lawn area, a decked area ideal for alfresco dining and off road parking via gates to the front.